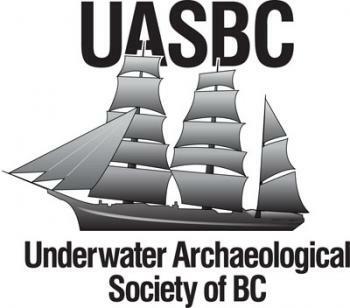 The Underwater Archaeological Society of British Columbia is a group dedicated to researching, locating, identifying, surveying, and protecting the maritime heritage of BC. The UASBC is committed to this task for the interest, education and benefit of all British Columbians, present and future. The UASBC's core activity is searching for shipwrecks on the coast and interior of the province. Once wrecks are located they are surveyed and reports are written for the BC Archaeology Branch. This acts to protect a wreck under the Heritage Conservation Act. The UASBC recognizes that there needs to be a trained cadre of divers to undertake the surveys. To this end the UASBC teaches the NAS program of courses under license from the United Kingdom. The UASBC also realizes that the general public has a keen interest in its heritage. We organize monthly speakers on a variety of related subjects, and in the spring we sponsor the major conference, “Shipwrecks”. The UASBC is virtually an all-volunteer organization. The members promote non-intervention and conservation as the only plausible course to preserve the Province's maritime heritage for future generations.